SAP FIORI offers the ultimate in convenience for mobile or remote SAP users, allowing them to access commonly used applications at home, on the road, or out in the field. However, just as SAP has unique cybersecurity needs, so does SAP FIORI. 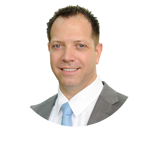 Jörg Schneider-Simon is a co-founder of bowbridge Software and has spent more than 20 years designing, evolving and promoting complex, enterprise-level IT security solutions.